This is an edited version of Animah Kosai‘s viral Facebook post published on Friday, December 4, 2015 that also became this Says.com article. Sign this petition to take action. On Friday, I was really angry – quite a number of things had made me so. 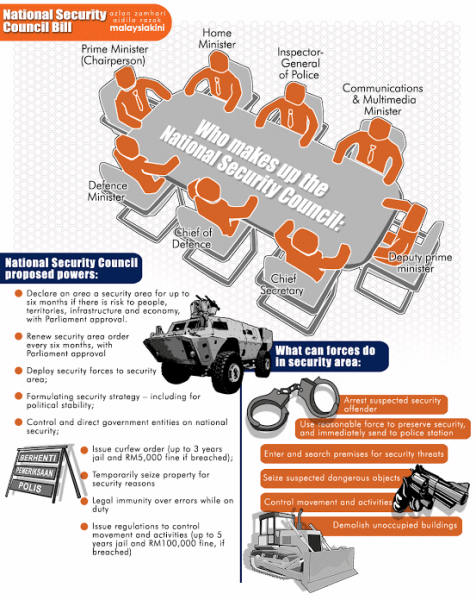 But nothing more than the National Security Council Bill passed by the Dewan Rakyat whilst I was asleep. So you can imagine my mood on Friday morning. I made some calls, some whatsapp messages in my “We Cant Just Accept This” energy rush. The law making system here is based on the Westminster parliamentary system. Laws are made after going through the two houses of parliament – the Dewan Rakyat (House of Representatives) and the Dewan Negara (Senate). A Bill (Draft Law) is typically presented by a minister (although any MP can table a law) and it must go through three readings before it is passed. The whole point is that after it is tabled for the first reading, our democratically elected MPs can properly review it, get feedback and propose amendments. They should be given enough time on this in order to deliberate and raise any concerns which would generally happen during the Second Reading. A Committee would consider these concerns and amendments with a line by line review – followed by being tabled back in the House for the Third Reading. This obviously cannot happen in one day. And yet it happened with the NSC Bill early Friday morning while most of us were asleep (4am). The MPs were not aware that the Bill was on the agenda until the night before. Now if you ran a company, you would be very aware that you need to give 21 days notice for an AGM (or could it be 30 – am out of date) with the agenda together with any motions to be tabled. To do so the night before would render any resolution invalid. Today I discover that companies are more democratic than our Parliament. I was also informed that the BN MPs do not have the freedom to vote based on their conscience. Let’s mull on that and remember that Malaysia has the highest Power Distance Index in the world – 104 (out of 100 points – champions!). So of course they dare not step out of line. In a proper functioning democracy – before a Bill is even tabled in Parliament, the draft is available for the public and experts to comment on. This way the MPs know the public sentiments before it is tabled in Parliament. So what happens next? The Bill is not yet law. It still has to be passed by the Upper House – the Dewan Negara, again through three readings. The Dewan Negara sits next week, scheduled to start with the Supply Bill (next year’s Budget). It is anticipated that it we might have a week’s breathing space before it is tabled, which gives us a short window to pressure our ministers to withdraw the Bill from Dewan Negara. There are precedents where Bills have been withdrawn after being passed by Dewan Rakyat due to public pressure so there is still a chance. Why ministers and not the senators? Because again, the senators may not dare defy the Whip, but the ministers can influence the withdrawal of the Bill. I would also suggest we pressure every BN MP who was in the Dewan yesterday as to why they voted for the Bill. PRESSURE. Tell them – you know what, I am so NOT electing you in the next GE14 because of this (you probably already decided not to but you don’t have to say that). And isn’t this a good time to have a go at PAS whose MPs were absent so they wouldn’t have to show they were with the Opposition. If the Bill is still passed by the Dewan Negara, the next step is for the Agong to give the Royal Assent. So now why would the Agong want to sign a Bill that gives away his power? Well actually he doesn’t really have a choice. Thanks to Dr M ensuring an amendment to the Federal Constitution back in the 90s, should the Agong not sign a bill, it still becomes law after 60 days (or it could be 30, I can’t remember). Still, I would suggest that the Rulers pressure the government on this. One of my friends referred to an activist Sultan, and we all know who that is. Other state Rulers also have a conscience, for example Perak, NS, T’ganu and Kelantan. As their Rakyat, we can appeal to our Rulers. Although I am pretty sure some of them will speak up. If the NSC Bill gets enacted and becomes law, the next step is Legal. 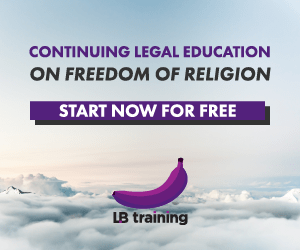 Challenge the constitutionality of the Act in Court. Some of you are jaded by the Judiciary, but we must try all legitimate means at our disposal. Sarawak has been a powerful Outlier of late – so that’s another possibility. Get the Sarawakian kingmakers to speak up. Come on Malaysian citizens – we can do this! We all have to speak up and pressure those pressure points. Posted on 7 December 2015. You can follow any responses to this entry through the RSS 2.0. A) PRINCIPLE OF SECRET SURAT "KOW THIM": If any mamak lawyer writes privately to the A-G in order to get him to drop charges before or during trial, the ploy will succeed IF THIS EQUATION IS FULFILLED: where "N" (number of times said mamak has represented Umno) x "E" (degree of Evil of said mamak, from 1-10) = 1,000 or greater. This applies even where the High Court and Court of Appeal have rejected applications to strike out the suit. The end result is that cows get to live happily in luxury condos. Moo. One secret letter is all it takes. B) PRINCIPLE OF REWARDING DISHONESTY: Any gomen company is allowed to lie to Bank Negara Malaysia. So let's say 1MBD (1 Mega-Botak Dei) says he needs 1.83 billion ringgit to invest in a Franch company, but actually transfers it to a Bugis-Arab-Cina pyramid scheme, it is BNM's problem to detect the fraud, even if the evidence of the fraud surfaces only later. "Hang tak tanya pun?" Hence, BNM should treat all MOF documents as lies right from the beginning. if BNM finds out too late, the Bugis-Arab-Cina pyramid scheme can give the middle finger to BNM and say "spend already lah, Auntie." E) PRINCIPLE OF ONE COUNTRY, TWO LAWS: Feel free to cause any amount of racial and religious provocation you want, e.g. forcing people to remove their religious symbols. You won't be charged if you're on "our side". But we reserve the right to charge anyone on "their side" under the Sedition Act for serious offences like questioning why someone was arrested under the Sedition Act. Questioning why someone was arrested under the Sedition Act for questioning why someone was arrested under the Sedition Act is also seditious, thus causing a "chain reaction" that will lead to overflowing jails. Funny thing is, here video evidence is not required. Can you imagine a school that has no rules and therefore every student has his or her own ways of doing things. It would call for a lot of in discipline among students as they would have freedom of doing whatever one wishes to do. Therefore school rules bring uniformity in ways of doing things and every student feels equal to the other. EXCELLENT, as many of us are so devastated. Thank you. Spreading it to G25 etc.